Sometimes you have to take a step back before taking a step forward. That seems to be the philosophy of CES MMA 28 headliner Rick Hawn, who went from fighting in Bellator to competing in some of the more high-profile regional promotions out there. After a stop in Titan FC, Hawn, who now has his sights set on a run at the UFC, brings his talents to the CES cage against prospect Derek Loffer in a lightweight showdown. The 38-year-old Hawn is a 2004 Olympic judoka. In addition to holding a black belt in judo, he is a brown belt in Brazilian Jiu-Jitsu. After failing to make the 2008 Olympic team, Hawn transitioned to MMA and made his pro debut in 2009. He is, of course, best known for his lengthy stint with Bellator, where he competed in three tournaments and earned two tourney championships (and, therefore, title berths). Initially competing as a welterweight, he made it to the finals of the season-four tournament before dropping a split verdict to Jay Hieron. He shifted to lightweight for the season-six tourney and topped Brent Weedman in the finals to claim a shot at Michael Chandler. Hawn came up short against the champ, who submitted the judoka in the second round. Hawn moved back to welterweight and entered the season-nine bracket. He knocked out Ron Keslar in the tourney finals to advance to a championship tilt with Douglas Lima for the vacant belt, but Lima scored the TKO finish to dash Hawn’s title hopes once more. 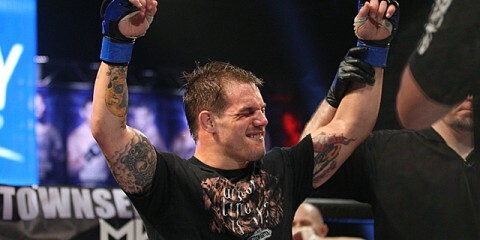 Hawn dropped his next Bellator fight to Dave Jansen and then exited the promotion. 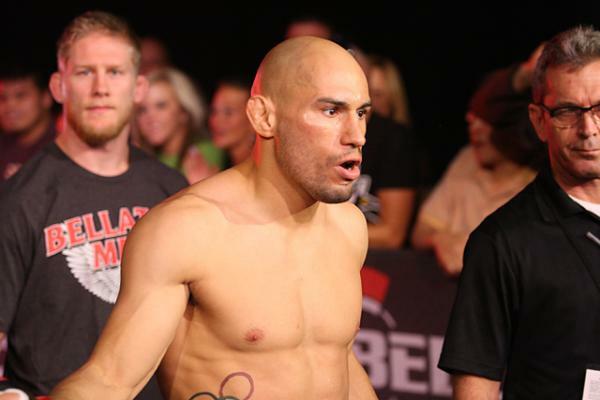 He landed in Titan FC for the promotion’s 32nd offering. 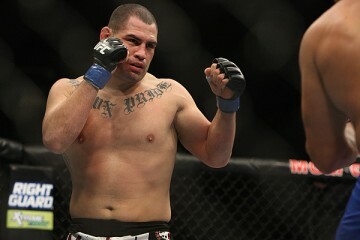 He defeated UFC veteran Carlo Prater in his lone Titan outing. Loffer has also seen the inside of the Bellator cage, but he didn’t achieve the same levels of stardom as Hawn attained with the promotion. Instead, “The Cedar Rapids Psycho” went 1-1 under the Bellator banner, only appearing with the promotion when Bellator visited the Midwest region. The 27-year-old has found plenty of success close to home in Iowa. He debuted in 2012 with longtime Midwest regional staple Extreme Challenge and won his first two pro contests. Loffer suffered his first setback while competing under the Iowa Challenge banner. 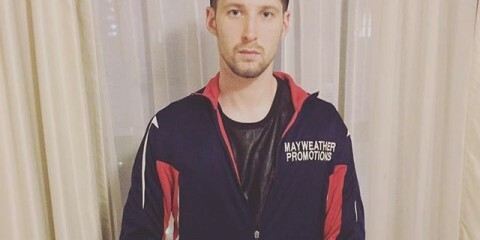 He was finished in the first round by Jordin Hinman, who was 0-2 entering the fight. Loffer rebounded with three straight first-round TKO finishes on the regional circuit before making his Bellator debut in 2013. The step up in competition — he fought Cliff Wright, who was 7-5 at the time — didn’t do Loffer any favors. He was submitted by Wright in the second round. Loffer returned to the regional circuit and claimed two more first-round finishes before making his second appearance with Bellator, which proved to be more successful than his first stop in the promotion. After topping Bobby Reardanz on the scorecards at Bellator 112, Loffer upped his winning streak to four fights with another first-round finish in his most recent outing. Hawn may be a high-level grappler and judoka, but you wouldn’t know it from his record. The former Olympian has 11 wins by some form of knockout and zero victories via submission. He’s fallen in love with the striking game, and Loffer might be willing to oblige him in a stand-up affair. The Iowan also has a disproportionate ratio of striking victories to submission wins, with six of the former and only two of the latter. Loffer tends to be quick out of the gates, but he has gone beyond the first round on two occasions. It’s pretty telling that those two fights happened to be his two stops in Bellator. Dig deeper into Loffer’s record and a troubling pattern emerges: he crushes cans and struggles against even a slight step up in competition. His wins came against a set of opponents who currently hold a combined 19-91 mark. Subtract his victory over Reardanz and the combined record moves to 10-78. Regardless of Loffer’s questionable resume, the Extreme Challenge veteran remains a threat in the first frame. If he can land with power, he could potentially put Hawn away. However, Hawn doesn’t have a glass chin, and the Tristar fighter certainly has the superior skill set. If he wants to make it to the UFC, Hawn might want to start displaying some of the judo and grappling skills from his arsenal. That’s not too likely to happen, though. Instead, we can expect to see him weather any early barrages from Loffer and outduel Loffer on the feet. Once the fight exits the first round, Hawn will turn up the pressure and score the TKO finish. Among the women’s divisions, strawweight is one of the deepest weight classes, rivaled only by the bantamweights. Pacific Xtreme Combat’s 47th event could add another top prospect to the growing ranks when Helen Harper and Cortney Casey square off this weekend in Guam. It might not have the high stakes of the UFC’s women’s strawweight title fight, which takes place halfway around the globe from PXC’s latest venture, but the two 27-year-olds are out to put their names on the map. Harper discovered martial arts at age 24. Now 27, she has only a few years of training under her belt, but she remains undefeated through three professional outings. She made her debut in 2013 with a third-round submission of Zhen Wei Foo. The English fighter went on to post first-round victories in her next two fights, both of which ended in a TKO. In addition to her professional MMA experience, Harper has also competed in Muay Thai and kickboxing. “Hellraiser” trains out of Andy Roberts BJJ. Casey is the more well-known fighter of the pair. As an amateur, “Cast Iron” picked up wins over Jenny Liou Shriver, Jillian Lybarger and Rachael Cummins (twice). She made her pro debut in 2013 with a win over Kelly Warren and challenged for the XFC flyweight title in her sophomore appearance. Casey fell short in her title bid, surrendering to an armbar in the third round of her fight against Pearl Gonzalez. The Freak Animal Fitness product rebounded with a pair of first-round stoppage victories, including a 39-second TKO of Tomo Maesawa. Casey is a dangerous opponent in all areas. She’s a very patient and aware grappler who landed a flying armbar finish against the aforementioned Cummins in their second amateur affair and gave the aforementioned Gonzalez an absolute headache on the mat in their championship tilt. Her lone loss, which came to Gonzalez, was as a flyweight, and the strawweight division allows her to make better use of her 5-foot-7 frame. She fights long on the feet and tends to charge forward with flurries. This could leave Casey exposed to the counter, but she closes the distance well and uses those strikes to initiate a clinch and then looks to transition to her grappling-based attacks. Harper will have an uphill battle on her hands if she wants to hold on to her spotless record. The English fighter is a strong striker, but she’s listed a full six inches shorter than her opponent and might struggle to overcome Casey’s length. She has flashed excellent takedown abilities, but the ground is the last place she wants to find herself against Casey. Harper’s tendency to leave her arm out there for the taking while raining down pitter-patter ground-and-pound is sure to land her in a bad spot and possibly result in an armbar loss. Harper is also at a disadvantage in experience to Casey, who has been competing far longer than Harper has been involved in martial arts. Harper and Casey might engage in some exciting back-and-forth exchanges on the feet, but it will be only a matter of time before Casey ties up Harper against the cage. Once Casey closes the distance and wraps up Harper, the advantage swings heavily in her favor. Casey has a knack for taking her opponent’s back while standing and then attacking with a rear-naked choke. If that doesn’t work, she won’t hesitate to jump for an armbar or guillotine, or even pull guard in hopes of dragging the fight to the mat. Harper isn’t capable of defending against the level of attack Casey is capable of in the submission department. This fight might make it into the second frame or beyond, but Casey’s relentless pursuit of the submission will eventually pay off in the form of another victory for the well-rounded prospect. Bellator may have abandoned the tournament format, but XFC International is continuing to commit its resources to the concept. The result has been promising. Once a Florida-based promotion, the XFC has seen a much stronger run of cards since opening up shop in Brazil. While it has spread its efforts across weight classes for both genders, the women’s tourneys have been the strongest set of offerings, shining a spotlight on a number of up-and-coming Brazilian ladies. With its latest event, XFC International 9, the promotion is out to crown the winner of its latest women’s flyweight tournament, determine the finalists in the women’s strawweight bracket and, in men’s action, crown a flyweight champ. That’s a pretty stacked lineup. While the strawweight hopefuls include a trio of undefeated fighters — Viviane Pereira, Liana Ferreira Pirosin and Dora Perjes — the women’s flyweight pairing of Antonia Silvaneide da Silva and Poliana Botelho is perhaps the most intriguing match-up of the evening. Silvaneide made herself known with decision victories over Vuokko Katainen and Debora Ferreira in her two previous XFCi outings. The Nova Uniao Kimura product debuted in 2012 and posted a 2-1 mark prior to entering the XFCi promotion. The Brazilian finished her debut with a third-round TKO win, but she has gone the distance in every one of her subsequent appearances. Botelho also competes out of Nova Uniao. The 26-year-old debuted in 2013 and posted first-round TKO finishes in her first two fights. 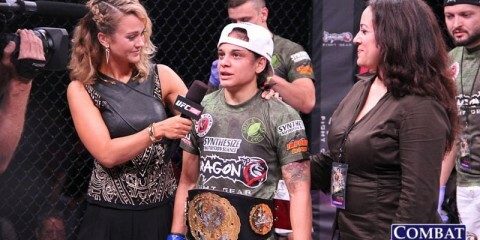 In her first fight of 2014, Botelho dropped a decision to Viviane Pereira under the Bitetti Combat banner. She made her XFCi debut later in the year with a knockout of Karina Rodriguez. She advanced to the flyweight tournament finals after Taila Santos failed to make weight for their semifinal bout. Botelho, who stands 5-foot-8, will enjoy a four-inch height advantage over Silvaneide. This is a study in opposites. Botelho is a tall, lanky fighter, whereas Silvaneide is short and compact. Botelho is a powerful striker, whereas Silvaneide is a strong grinder who does her best work on the mat. Botelho finishes fights; Silvaneida outpoints opponents. So, which one has the upper hand when they clash? That’s a difficult question to answer. Botelho excelled on her feet against a similarly short and stocky Pereira, but Pereira was able to slip some good punches in and take down the striker. Botelho doesn’t perform quite as well in the clinch and certainly suffers on the mat. If Botelho can keep Silvaneide at range and land with great frequency, then she could score the TKO or ride out a decision. However, Silvaneide is going to make that a tough task. She’s going to spend some time on top and score points with the judges for controlling the bout. The problem is that Silvaneide doesn’t show an urgency to finish fights. It could be her downfall against an aggressive striker like Botelho. Botelho is going to have to deal with Silvaneide’s takedowns and top control, but she’s going to do plenty of damage of her own. Expect to see several momentum shifts in this battle, but Botelho’s power will be the key factor. While Silvaneide remains content to grind out the decision, Botelho will press forward and look for the knockout. 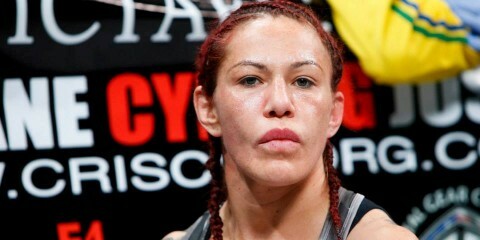 Even if Botelho doesn’t succeed in finishing the fight, she should do enough damage to sway the judges in her favor.